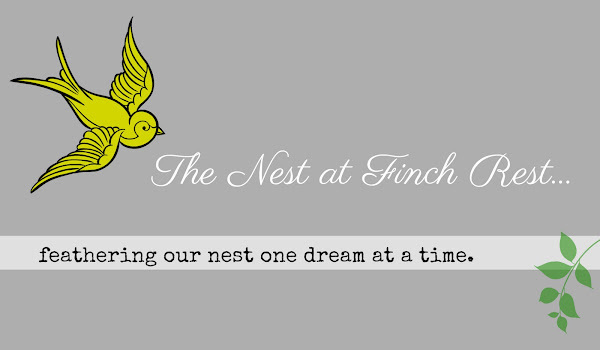 The Nest at Finch Rest: Good morning! Sorry I have been a mite "absent." As most - if not all- of you know, the storms we had really caused some problems for many. I had no power for a few days..........but it's back now of course..........but I have a friend who hasn't had power in over a WEEK.......plus a tree landed on her car and totalled it! So she has been staying with me for a few days till things get in order. 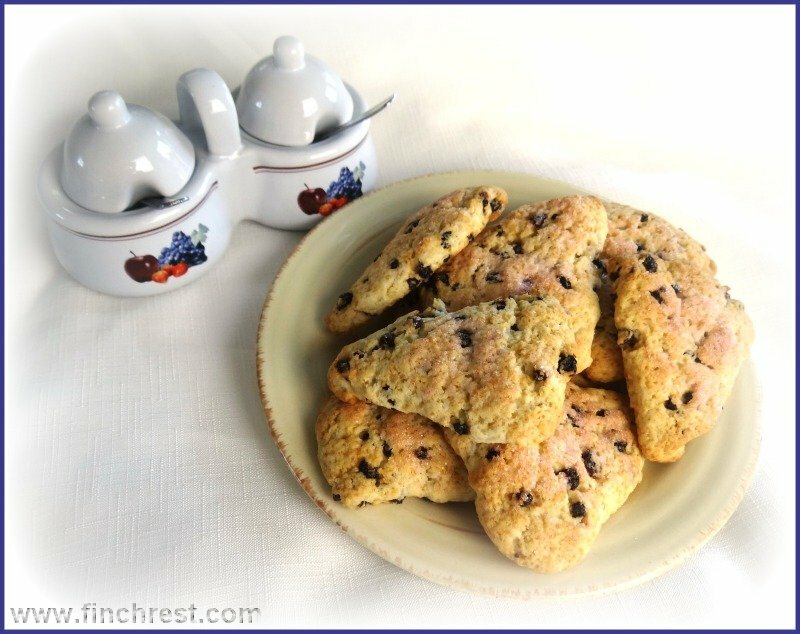 She keeps saying she doesn't want to bug me/us and doesn't want to impose..........so I just made a simple pot of coffee and baked some currant scones for breakfast. I didn't use nice china. Not girlie at all. I used regular daily china, no colour theme whatsoever....and snapped a few quick pics to post today before anyone else was up. 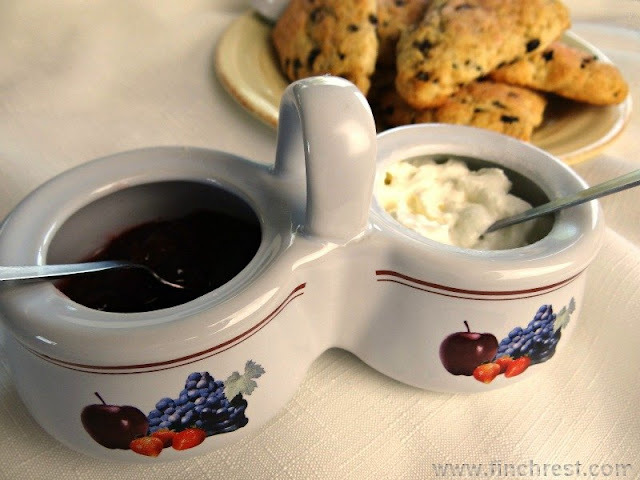 Some berry jam and "clotted" cream makes scones taste better. DON'T FORGET MY GIVEAWAY FROM YESTERDAY'S POST! Everything looks simple & delicious! Having you as a sweet friend who prepared a sweet breakfast would definitely make the annoyance of no power fade away. Your friend is lucky to have you! What a good friend you are in"deed". Your friend is so blessed. Breakfast looks great! what a great post as I love love scones! and I love the holder for your cream and jam, really sweet! hope you have a great weekend!! What a drag! I was sorry to see that some folks STILL don't have power! You're a blessing to your friend. Right down to homemade scones! With CREAM! You are the second person I follow who made scones, Michele! As I sit here and say "Mmmm", I'm thinking I better find a gluten free recipe that I can try. : ) I hope you got your power back now. I am so thankful that we did not lose power; just had a few power surges. I'm praying this heat wave ends soon. 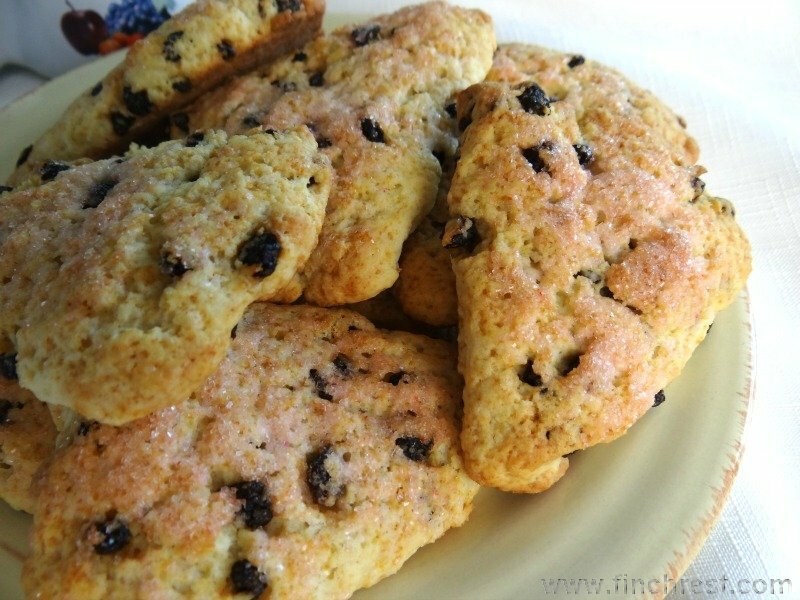 Yummy - I love scones, but I've never tried to make them. My friend was visiting me this week, but luckily she INSISTED we go to Krispy Kreme for breakfast. Honest. So glad you can be there for a friend in need! The scones look so yummy! You are a good friend Michele to take the woman in and make her a simple delicious breakfast . Let her know that a friend in Canada is thinking of her. Hi Michele, How sweet to bake delicious scones for you and your friend. They look so yummy. What is clotted cream? I love any kind of cream so I know it would be right up my alley. I have to tell you, I recently bought that exact jam/jelly jar at a thrift store for 50 cents. I thought it was too cute. p.s. Hope you both get power real soon! You are a true friend, Michele! 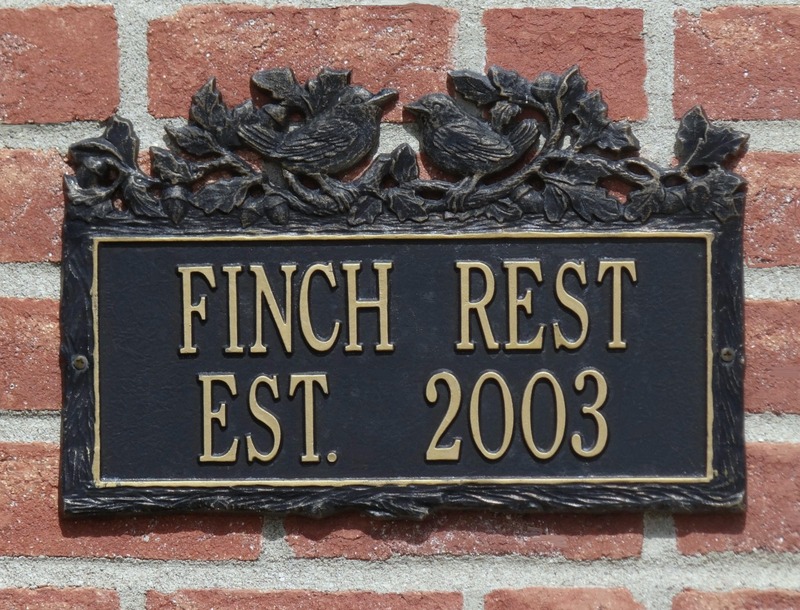 I know your friend appreciates your warmth and hospitality. The scones look delicious. When you are in need of a true friend, you don't notice their china or decor, you only see the love in their eyes! You are the sweet comfort of God to your distressed friend and that's what she needs most of all.